Delaying or ignoring proper winterization for your cooling systems can cause a host of problems including unsafe work conditions, broken equipment, higher energy bills, and even code violations. Your cooling system needs specific care before shutdown or lay-up. First let’s look at how winter messes with your system. Now let’s look at the tasks and timeline for proper winterization. For much of the United States, where cooling systems will be completely shut down during winter months, we recommend downloading our 3-Step Winterization Checklist so you can prep your systems properly. For locations that will run systems at low load, you’ll still want to follow the cleaning process outlined in Step 2 on that checklist. No matter where you’re located, you’ll want to work with a professional water treater to develop a winterization strategy customized for your facility, document it, and follow it every year. 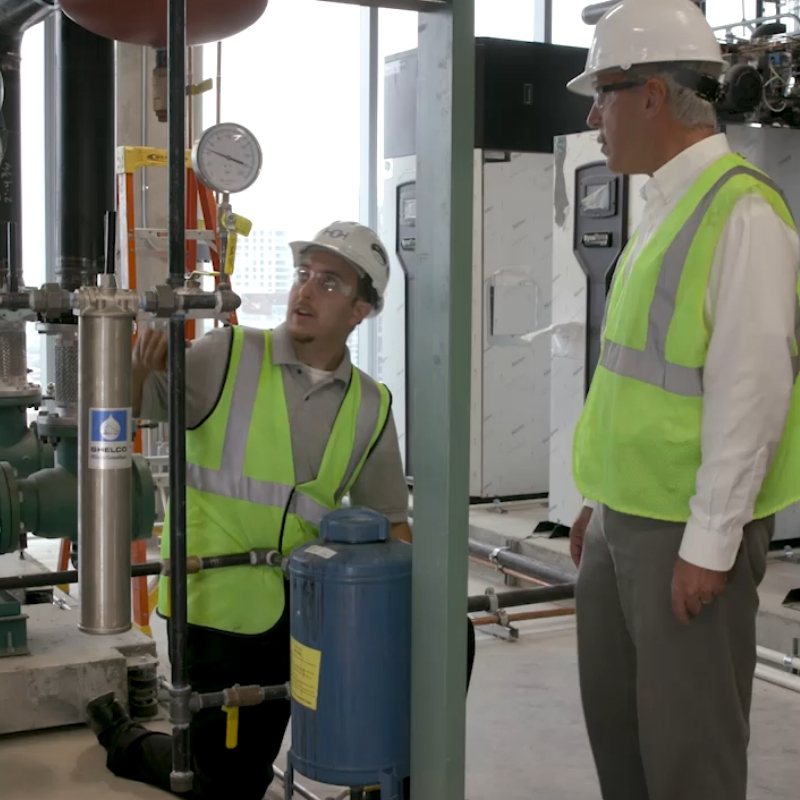 While we advise that you follow maintenance best practices for cooling water systems all year round, you’ll need to prioritize your efforts early in the fall to focus on winterization tasks. HOH specializes in helping facilities with their winterization procedures and we offer preventative maintenance programs led by an HOH specialist who will set you up for success. Don’t delay your winterization process. Contact us to get started today.